In December 1994, Lamictal (active ingredient lamotrigine) was FDA approved for use as adjunctive therapy in adults with partial seizures, and as adjunctive therapy in the generalized seizures of Lennox-Gastaut syndrome in adults and pediatric patients ages two and older. However, despite the narrow indications for which it was approved, GSK heavily marketed Lamictal for the treatment of bipolar disorders both before and during the period it was pending a supplemental new drug application for treatment of bipolar I disorder, which was finally granted by the FDA on June 20, 2003. GSK’s aggressive marketing of Lamictal prior to its approval for use in the treatment of bipolar I disorder proved extremely lucrative. Lamictal grew by 33% in the year 2000 (with total U.S. sales of $210 million) and continued to grow in the following years. In a press announcement for year 2003 GSK boasted that Lamictal was approaching ‘blockbuster status’ with sales that grew by 31% to approximately $1 billion. Curiously, there is no data that would support a commensurate rise in partial seizures in adults or Lennox-Gastaut Syndrome, the only approved indications for Lamictal prior to June of 2003. Ultimately, the aggressive and illegal pre-approval marketing served the dual purpose of reaping significant gains prior to approval for treatment of bipolar I disorder as well as assuring GSK of a nationwide network of health care providers ready to prescribe the drug for bipolar disorders the minute it received FDA approval. Over the course of nearly ten years of off-label marketing of Lamictal, billions of dollars in sales were generated prior to the 2003 indication for bipolar I, as alleged infra. Accordingly, GSK, in promoting Lamictal by willfully misrepresenting the FDA approved uses, engaged in egregious and knowing off-label marketing. Despite the fact that Lamictal was only FDA approved for treatment of partial onset seizures in 1994, since its launch, sales representatives were trained to promote the drug as an effective treatment for all bipolar disorders. Although there are several types of bi-polar disorders, as alleged infra, bipolar I is the most severe and the most rare. Notably, the drug was never approved by the FDA for bipolar II disorder or any of the four (4) other variations on bipolar disorder listed below. Bipolar II disorder is a milder form, involving milder episodes of hypomania that alternate with depression. Bipolar II is a more broadly defined mental illness and encompasses more patients. With mixed bipolar disorder, there is both mania and depression at the same time, resulting in a person having feelings of grandiosity and racing thoughts, often resulting in an irritable, angry and moody feeling. Despite the lack of any bipolar related indication until 2003, sales representatives were provided with materials designed to promote the drug for global bipolar disorders. Even after it received approval for bipolar I disorder in 2003, sales representatives were trained not to call attention to the distinctions among the various types of bipolar disorder unless a physician inquired. As evidence of the pre-indication marketing and training, one need look no further than the 2001 GSK Selling Resource Guide for Lamictal. The Resource Guide provides scripts for sales reps to address requests for information on Lamictal and bipolar depression suggesting that there were numerous inquiries into this usage. 7AC 0000413-0000430. In furtherance of their bipolar marketing efforts, GSK engaged in an aggressive campaign aimed at pushing sales representatives to use the FaxBack program discussed in the Resource Guide as a marketing tool. Most troublesome is the fact that GSK was aware of its illegal strategic use of the FaxBack program, yet made a conscious and deliberate effort to cover up its actions. For example, at a management training program in July 2002, Relator Hamrick was instructed by a manager-in-training that, with respect to the detailing of Lamictal for bipolar to psychiatrists, the record of every contact report should automatically include the phrase ‘Dr. inquired about bipolar disorder” thereby effectively circumventing the requirements of the FDCA with regards to disseminating literature concerning non-approved uses. In addition to the FaxBacks, GSK frequently distributed “Lit Alerts” to its sales force allegedly for the purpose of educating the drug reps. The Alerts, essentially a cliff-note version of a drug specific study, were routinely carried by sales representatives to aid in answering any questions posed by physicians. The fact that the Lit Alerts were, by their very nature, off label marketing tools, makes their distribution by GSK even more egregious. Specifically, in August 2002, a Lit Alert was distributed to Lamictal sales representatives discussing the use of Lamotrigine as an augmentation agent in treatment resistant depression (‘TRD’), a use for which it has never received approval. 7AC 0000431-0000433. Subsequent to the TRD Lit Alert, in April 2003 GSK distributed another study titled ‘Lamictal as Maintenance Treatment in Recently Manic or Hypomanic Bipolar I Patients.’ This Lit Alert served only to fan the flames of an already rampant bipolar campaign and was referenced widely in sales calls. 7AC 0000434-0000438. Just as troublesome as the Lit Alerts and Faxbacks, were the numerous studies by Calabrese, distributed by GSK, which suggest the efficacy and use of Lamictal in patients with bipolar II. Although Lamictal never received an indication for bipolar II disorder, GSK maintained its effective off label campaign and continued to forge strong relationships with its prescribing physicians ultimately pushing the boundaries by suggesting Lamictal’s effectiveness as a treatment option for bipolar II disorder. In fact, since the dosage of Lamictal must be increased slowly from a subtherapeutic level to a therapeutic level, acute mania and Bipolar II never received an indication. Key figures in GSK’s national promotion of Lamictal for treatment of bipolar disorders prior to its indication were Dr. Joseph R. Calabrese of Cleveland, Ohio and Dr. Charles L. Bowden of San Antonio, Texas. In his promotion of the use of Lamictal for bipolar disorder, Dr. Calabrese wrote about a new nomenclature (‘above the line/below the line’) advocating that Lamictal was clearly superior to other commonly prescribed medications such as Lithium. Dr. Calabrese also defended the drug from the accusation that the risk of serious side-effects, such as Stevens- Johnson Syndrome4, outweighed the benefits of prescribing the medication. In addition to journal articles, in 2002 Dr. Calabrese even published a greatly abbreviated, highly commercialized version, of his 1998 study (being careful to identify Lamotrigine by its GSK product title Lamictal) in an internet bulletin called “Fast Breaking Comments.” In this interview, Dr. Calabrese blatantly publicizes his determination that “lamotrigine (Lamictal) is effective in the treatment of patients with rapid cycling bipolar II disorder.” 7AC 0000439-0000441. To date, Lamictal has not received an indication for rapid cycling bipolar II disorder. However, GSK placed great emphasis on this study and sales representatives were expected to read and be familiar with Dr. Calabrese’s theories and statistics for use in off label marketing. 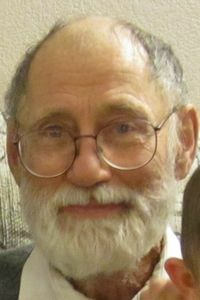 Dr. Bowden began publishing his opinions concerning the efficacy of Lamictal in the treatment of bipolar disorder as early as 1998. Dr. Bowden became a widely sought after speaker for GSK, and GSK sales representatives nationwide were encouraged to try to persuade Dr. Bowden to make presentations on his findings in their geographical area. Seizure disorders – the only approved indication for Lamictal during the 1998 through 2003 period – were treated by neurologists, not psychiatrists. Notwithstanding that fact, GSK began requiring its sales representatives to detail Lamictal with psychiatrists and family practitioners many years before the approval for bipolar I disorder. It is clear that these ‘details,’ which were prevalent throughout the nation during this period, were directed at persuading physicians to prescribe Lamictal off-label for the treatment of bipolar disorder and through the use of free samples, ‘thought leader’ lunches, dinners and CME’s, and distribution of studies favorable to GSK, particularly the Calabrese 4612704 118 studies, GSK was extremely successful in persuading physicians to begin prescribing the drug off-label. 5 These notes have been reproduced exactly as they were written in the contact reports by the individual sales representatives and entered into the Passport system following each sales call. 06/17/02 Dr. Honie Crandell again detailed for Lamictal in the treatment of bipolar disorder and confirms that it is her drug of choice for this disorder. In addition to targeting psychiatrists for detailing, prior to the FDA approved indication for bipolar I, GSK sales representatives were instructed to devote virtually all of their free sampling activities to psychiatrists, rather than neurologists. A routine practice that was documented in the contact reports of physician details as well as the first-hand experience of Relator Thorpe. Although the FDA issued recommended dosing for Lamictal for its seizure indications, there were no such dosing guidelines for use in patients suffering from any form of bipolar disorder prior to the FDA approval in 2003. As such, there existed an acute risk of overdosing and resulting complications. On information and belief, this “catchphrase” came directly from the GSK marketing department and was used by sales representatives throughout the country as a way to remind physicians to start with a small dose and raise the dosage very slowly in the treatment of bipolar I disorder in children and adolescents especially. Given the lack of dosing information, coupled with the intense campaign for use as a treatment for bipolar disorders, the contact reports referenced in the preceding paragraphs evidence physicians routinely inquiring about dosage and titration from the sales representatives themselves. On information and belief, as a direct and proximate result of the lack of proper dosing of Lamictal when used off-label, patients suffered both reported and unreported severe side effects including death. On February 14, 2003, Relator Hamrick became aware of an incident involving the dangers of off-label prescription particularly when combined with the widespread laxity in adverse event reporting when he called on Dr. J. Vitanza, an allergist. Mr. Hamrick was informed that one of Dr. Vitanza’s patients had been prescribed Lamictal for bipolar I disorder (prior to its approval by the FDA) and noted in the patient’s chart an incidence of rash. Assuming that the patient’s psychiatrist would report the rash incident, Dr. Vitanza failed to report the occurrence to the FDA. After observing that the physician was not going to file an adverse event report, Mr. Hamrick filed his own, based upon his second-hand knowledge of the incident. 7AC 0000442-0000443. As a result of the underreporting of rash occurrences, physicians failed to be properly alerted to the potential danger of the rash which had, on a few occurrences, developed into Stevens-Johnson Syndrome. In addition to the unreported incidents of rash, often resulting from off-label prescriptions, at least one death resulted from the use Lamictal for bipolar I disorder. Dr. Julie Sanford, a psychiatrist who was consistently detailed by GSK sales representatives to prescribe Lamictal for bipolar disorders, prescribed the drug for a patient that subsequently died. Since Dr. Sanford was not a neurologist likely to be treating a patient for a seizure disorder, it should have been apparent to GSK officials receiving a copy of her adverse event report that the drug was, in all likelihood, prescribed for a non-indicated use. Nevertheless, in a May 22, 2001 letter to Dr. Sanford from GKS’s “Global Clinical Safety and Pharmacovigilance” division, there is a reiteration of adverse event reporting: the patient, who had been given Lamictal experienced headache and died, and other patients of whom she was aware also experienced rashes subsequent to receiving therapy with Lamictal. 7AC 0000444. Significantly, the “Global Clinical Safety and Pharmacovigilance” division, while allegedly interested ‘in obtaining as much information as possible concerning reports of suspected adverse reactions for the purpose of continuing to monitor and evaluate drug safety’ made no inquiry into the issue of the purpose of the supposed therapy. Of even more concern, in a conversation with Relator Thorpe, Dr. Sanford, a psychiatrist married to key opinion leader Dr. Marciniak, revealed that the patient who died was in fact being treated for bipolar I disorder. Clearly, when combined with the lack of recommended dosage, the off-label use of Lamictal made for a recklessly dangerous combination for patients resulting in severe rashes, including Stevens Johnson Syndrome, and even death. GSK’s off-label marketing tactics also helped put their products on Tricare/Champus formularies for uses not approved by the FDA. For example, GSK focused on psychiatrist Dr. James Polo because of his position at Evans Army Hospital, Fort Carson, Colorado. As a result of the persistence of GSK, Lamictal was actually placed on formulary for treatment of bipolar disorders prior to receiving such an indication. GSK began seriously attempting to influence Dr. Polo in the late 1990’s by making arrangements for and paying for all of the food and liquor at the annual Colorado Spring Psychiatric Association Christmas party at Dr. Polo’s home, with 60-70 physicians in attendance. 7/15/02 Dr. James Polo detailed on Lamictal and reported that ‘Lamictal is no longer restricted to neurology’ meaning it was now available on the Tricare formulary.